Need to put out a fire then you can't go past this hilarious funny Firefighter costume with special appendage made to look like a fireman's hose. 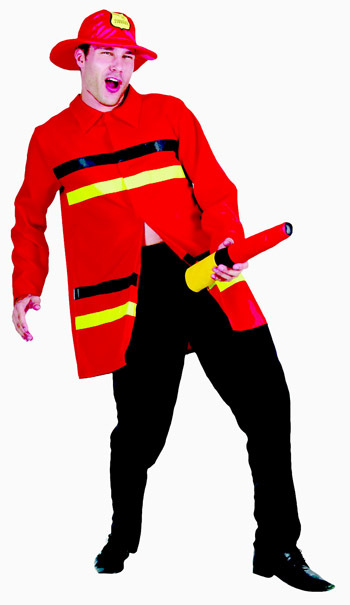 This firefighter costume includes a red fireman jacket with black and yellow stripes, fireman's hat and black pants with a impressive 27cm long fireman's hose. Put out spot fires at your next fancy dress party.